Five signings who could partner Kane at Tottenham | The Transfer Tavern | Where football transfer rumours fly or die! 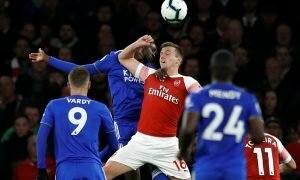 Many punters here in the Transfer Tavern were surprised when they realised that Tottenham Hotspurs hard fought 1-1 draw against Arsenal on Sunday meant that Spurs had stretched their unbeaten league run to eleven games. Indeed, since their opening day defeat to Manchester United (a game they were unlucky to lose), Spurs have quietly gone about their buisness and have almost become dark horses this season. However, more recent high profile wins for Spurs such as the 4-1 victory over Manchester City and 5-1 thumping of Bournemouth has resulted in many starting to take a lot more notice of Maurico Pochettino’s impressive looking side. One catalyst for the electric form is Harry Kane, who after a slow start has hit six goals in his last three outings to take his league tally to seven. Kane was unstoppable last season, and it looks like he is going to continue to be one of the League’s most fearsome strikers. Kane’s performances did spark another discussion in the Tavern, however. The debate was whether Kane could form a fearsome partnership with someone else, though he is used to playing up top by himself, the punters in the Tavern were wondering whether Kane could be even more unstoppable if he linked up with another top striker. Hit Kane below to see FIVE possible targets to partner him at Spurs!